The Albany Steam Station, located just south of Albany in Bethlehem, is one of the six existing Hudson River power plants that uses the most antiquated cooling system, once-through cooling. 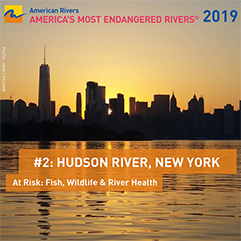 Currently, it withdraws 500 million gallons per day (mgd) from the Hudson River, killing an estimated one billion juvenile fish, larvae and eggs per year. In 2000, the plant was purchased from Niagara Mohawk by PSEG Power New York (PSEG). PSEG proposed repowering the plant by installing new combustion and steam turbines and building evaporative cooling towers to replace the extremely damaging once-though cooling system. It also proposed to utilize a Gunderboom in an attempt to further reduce impacts and generate data on the fabric’s potential effectiveness. The proposed new facility became known as the Bethlehem Energy Center (BEC). The proposal reduced the plant’s cooling water withdrawals from the Hudson by more than 98% (from approximately 500 mgd to 8 mgd), thereby eliminating impingement and entrainment of juvenile fish and reducing the entrainment of eggs and larvae by approximately 99%, while nearly doubling the power generation. It also reduced air pollution emission rates by 98 to 99%. After carefully reviewing PSEG’s data and analysis, including assessing the effect of discharges of heat and treatment chemicals, Riverkeeper determined to accept the proposal to use hybrid wet/dry rather than dry cooling, because of the substantial reduction resulting from removal of the once-through withdrawal. 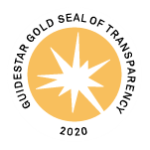 Before agreeing to its approval, we negotiated improvements to the proposed project and its permits, and reached an agreement with the company pursuant to which Riverkeeper would be permitted access to the facility and funding for expert evaluation of the Gunderboom’s performance. The repowering of the Albany Steam Station into the Bethlehem Energy Center is perhaps the single most positive development for Hudson River fish populations since our predecessors finally defeated Con Ed’s Storm King proposal in 1980. By ending a 500 million gallon per day withdrawal – which has been permitted since the 1950s in an area of the river heavily frequented by blueback herring and white perch – the new technology would save up to a billion aquatic organisms (mainly juveniles, larval fish and eggs) per year. At the same time, the project provided additional, efficient energy production. This model project demonstrated that old damaging plants could be upgraded to new technology, dramatically reducing their environment damage, and still be profitable.